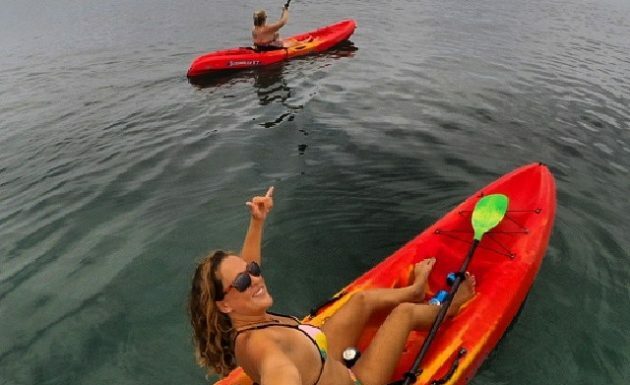 Open ocean kayaking on the North Shore is phenomenal and a must do when visiting or just playing around on the ocean. 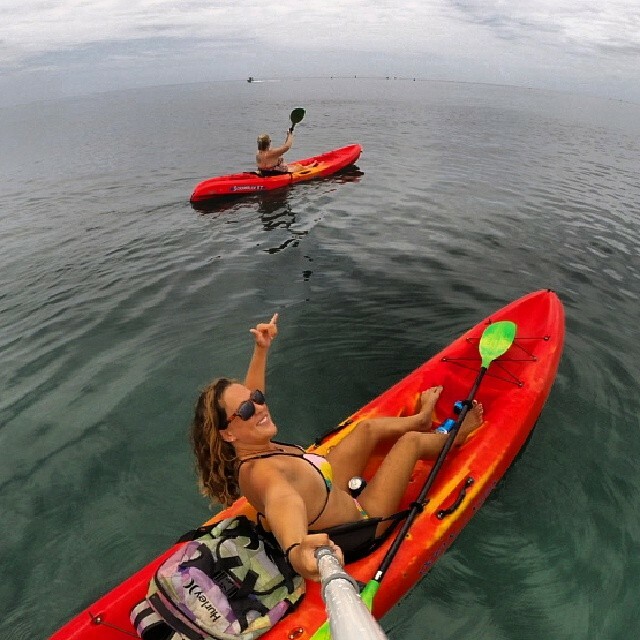 Surf n Sea’s location is the perfect spot to launch a one man or two man kayak and head out to the beautiful clear waters of the Pacific. 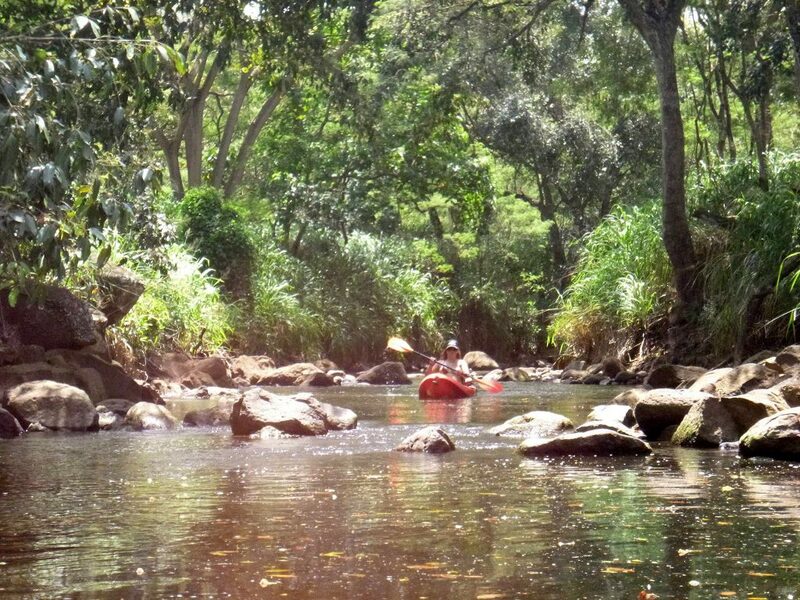 You will be paddling around with turtles and fish all around you. On calm days typically from Spring to around mid October, kayaking up and down the coast of the famous 7-mile miracle is wonderful to do. 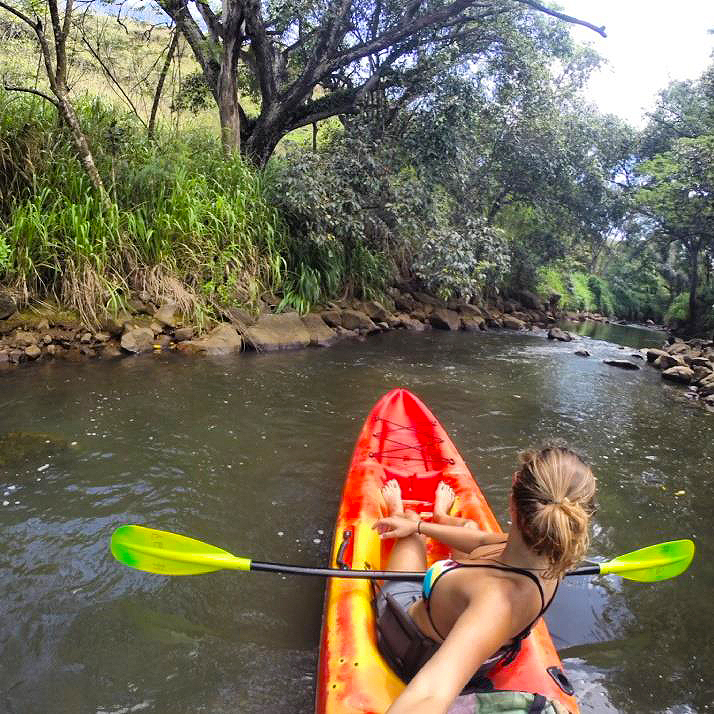 You can paddle to beautiful Waimea Bay just 3 miles away, and stop to snorkel along the way. Or find some small waves and try to surf them. 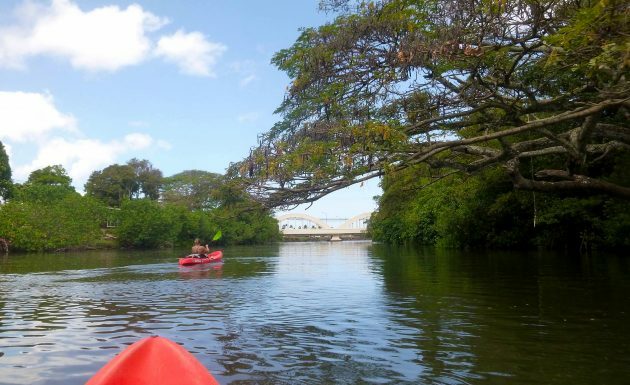 Kayaking is a great way to explore the nooks and crannies of the coastline with magnificent views of the North Shore. 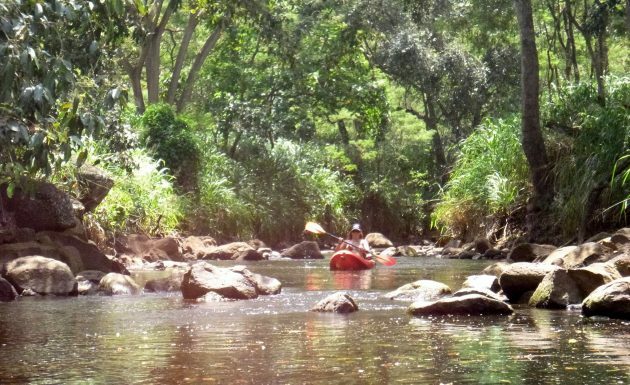 During the winter months when the North Shore “turns on”, staying closer to the shop is recommended, including paddling the spectacular Anahulu Stream. 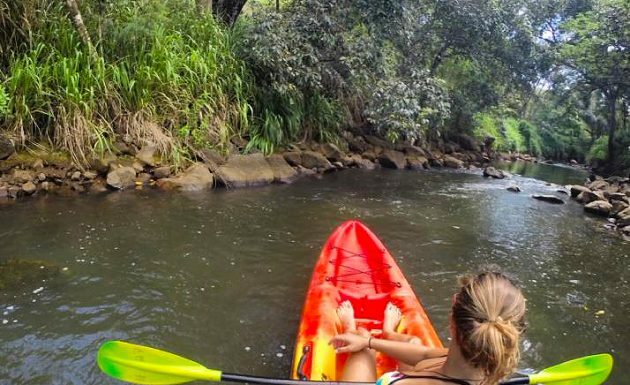 This unique paddle will take you approximately 45 minutes to get to the end and back, and past old taro and flower patches. Make sure to take a picture of yourselves near the Rainbow Bridge. 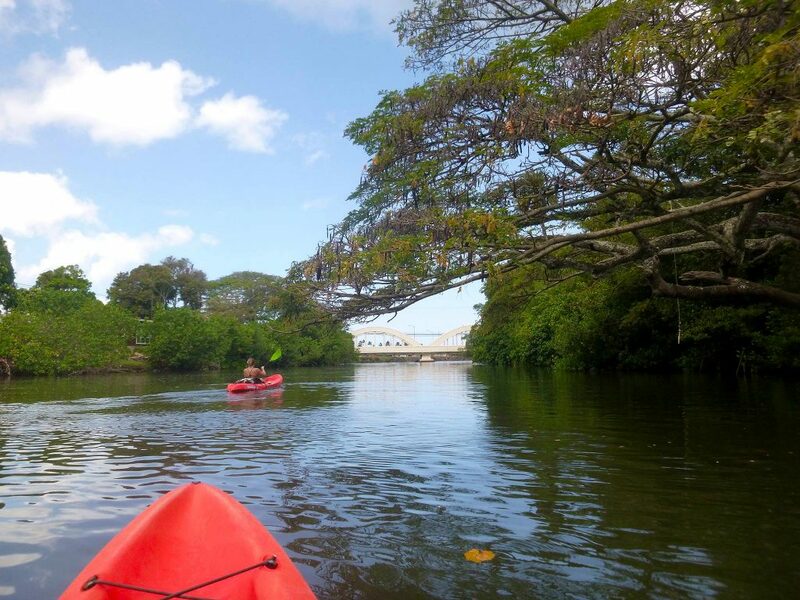 Rental start at just $10 for a single kayak, and $15 for a double. Rent for an hour or for the day for only $50(Single) / $75(Double) Price includes all equipment necessary including life jackets. Your safety is assured and satisfaction is guaranteed!